I have a home with about a 1400 square foot basement. We bought the home from the first owner in 2004. We had radon levels measured back in 2004, and the result was slightly above the EPA guideline of 4 pCi/L. This level EPA guideline level for indoor air is 10 times higher than the average outside air level of 0.4 pCi/L. I did some research online and found a lot of helpful sites for a DIY installation. However, the best site By Far was Healthy Air Solutions. Their name is appropriate because they offer solutions that work. 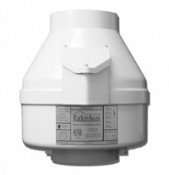 All of the specialty parts you need can be found on the Healthy Air Solutions site. 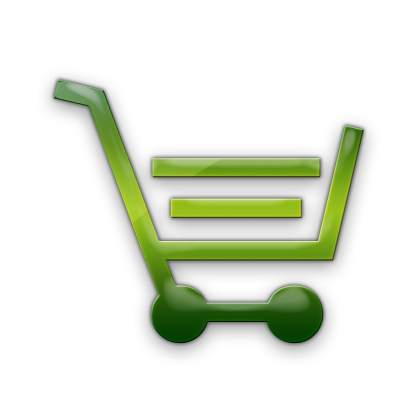 Sections of straight 3 or 4 inch PVC pipe and standard 22.5, 45, and 90-degree elbows can be bought at Home Depot or Lowes. You will likely not find anyone at the big box stores that can help you understand the design basis of an effective mitigation system. That is where Val comes in. I am 69 years old and have not lost the desire to install solutions on my own. Val guided me through some key areas such as rock or soil conditions under the concrete floor, the existence of a sump, where to consider placing a hole in the basement floor if not using the sump, and how to size a mitigation fan or exhaust blower. Initially, before I contacted Val, I had decided to get a large exhaust blower, since bigger is better----Right? WRONG-The first blower that I "selected" (a GP 501) was purchased from another website before finding Healthy Air Solutions and Val. The first blower was loud, vibrated the wall of my garage where it was partially supported, and it was destined to use too much power. I believe that the first blower was probably for larger industrial use, and bigger is not always better. Frankly, I should have done more research. to the home. Since the blower is mounted outside exposed to cold weather, I also bought the condensate bypass fittings from Healthy Air Solutions sized to my PVC pipe diameter to easily deal with any potential condensation. 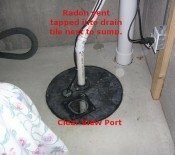 Next, I invested $129 in a Safety Siren Pro-Series Radon detector so that I could KNOW what results were achieved. We also sealed my sump pump area, pipes, and wires with a Lexan like polycarbonate square and used the penetration seals offered on Healthy Air Solutions' site. I used a 3/8 inch sheet, but 1/4 inch sheets seem to be the standard. Again, Healthy Solutions can help you there. Results: The radon level is now 0.3 pCI/L after four days of operation. I did not seal all of the minor cracks in my basement floor which, in our case, is mostly covered with ceramic tile. Properly sealing the sump was a must. Val must be a name short for Value because that is what he provided. You can do it too. Be sure to have a competent electrician help you to make sure the blower is wired to Code, especially if you are going to "hard wire it." I got some help there. You may also need someone to help you optimize the length of your system and determine the best use of fillings, but it is not "rocket science." I got some help in both areas. We also rented a four-inch concrete drill from Home Depot to speed the work. A larger hole such as 5 inches would have been nice, but it was not a necessary factor. We removed about five gallons of rock through the hole from underneath the basement floor to create a suction location. Note: I have nothing against the certified installers that are out to provide service to homeowners and the real estate community, as they will guarantee their results and that guarantee can be passed on to subsequent owners in some case. I am retired, and I simply thought it was a task that could be self-performed, with Val's help and the help of some others. I was picky about where I wanted the system installed, and we were able to achieve the desired result with a short run of pipe and fittings without penetrating my attic and roof. Yes, we did follow industry standards on the location of the stack above the roof line and other considerations.